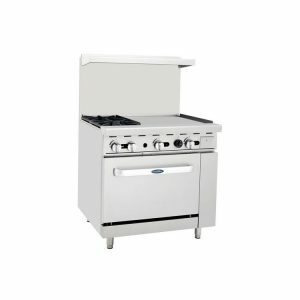 ATCB-36 (36″) Thirty-Six Inch Heavy Duty Char-Rock Broiler With Total 105,000 B.T.U. 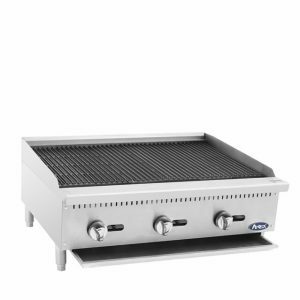 ATCB-48 (48″) Forty-Eight Inch Heavy Duty Char-Rock Broiler With Total 140,000 B.T.U. 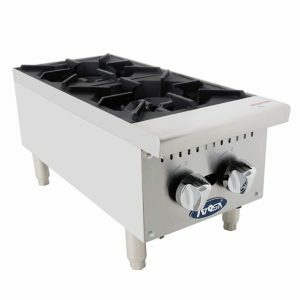 ATHP-12-2 (12″) Twelve Inch (2) Two Burner Hotplate With Total 50,000 B.T.U. 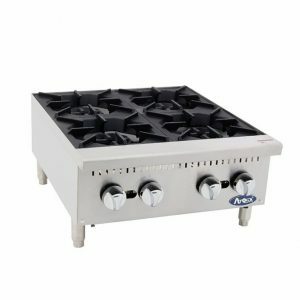 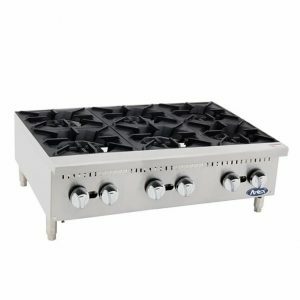 ATHP-24-4 (24″) Twenty-Four Inch (4) Four Burner Hotplate With Total 100,000 B.T.U. 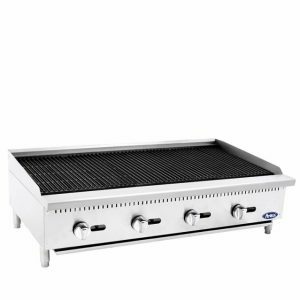 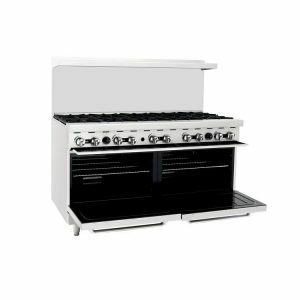 ATHP-36-6 (36″) Thirty-Six Inch (6) Six Burner Hotplate With Total 150,000 B.T.U. 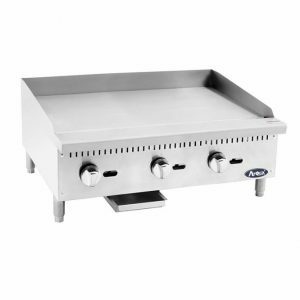 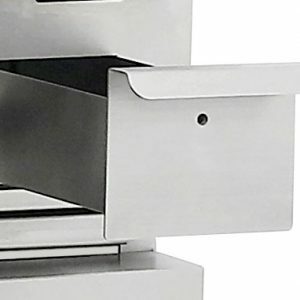 ATMG-24 (24″) Twenty-Four Inch Heavy Duty Manual Griddle With Total 60,000 B.T.U. 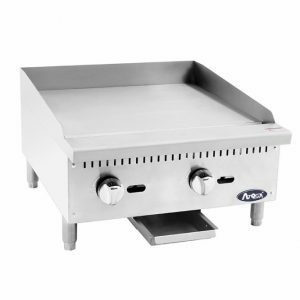 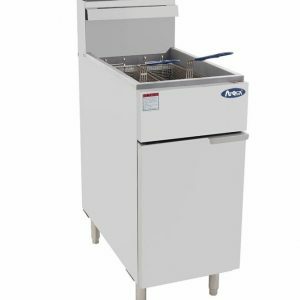 ATMG-36 (36″) Thirty-Six Inch Heavy Duty Manual Griddle With Total 90,000 B.T.U. 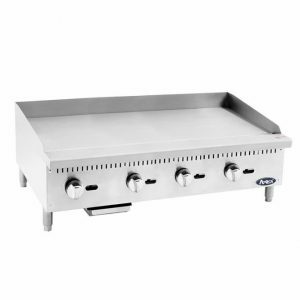 ATMG-48 (48″) Forty-Eight Inch Heavy Duty Manual Griddle With Total 120,000 B.T.U.